So I had a couple of minutes to actually sit down today and scroll through some emails and blogs I follow - I saw this and just had to share with all of you. It comes from the ladys over at the crafting chicks blog. 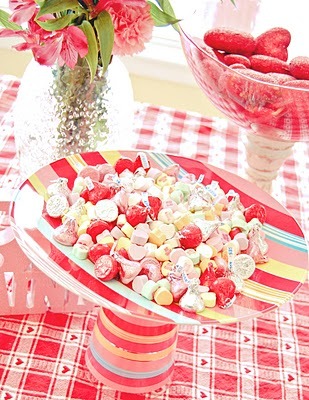 I hope you all enjoy this super cute cake/candy stand, it's simple, easy and cheap, just the way I like it!